Time for A New Kitchen Sink? 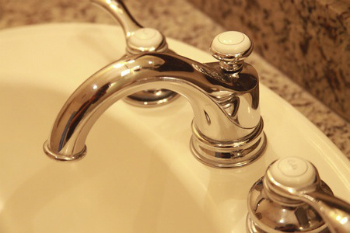 Old sinks and faucets can impact the value of your home. Worse sometimes those leaky faucets can keep you up all night with that annoying drip, drip, drip. Are your sinks worn and outdated? Are your bathroom fixtures stained, damaged or cracked? Then it's time to call Troudt Plumbing of Greeley for all your residential plumbing repairs. Ignoring a faucet that leaks at only one drip a second wastes as much as 2,000 gallons a year in water? That’s hundreds of dollars of wasted water! And unchecked leaking will ultimately cause damages to your sink basin and surrounding counters and cabinets. Leaky pipes or drains are also a headache if you ignore them. Drain issues don’t just go away over time - they only get worse. A simple drain inspection by one of our plumbers will let you know if your drains are no longer functioning properly. Most of us know from experience that drain clogs can happen even with normal usage. Sooner or later, debris finds its way down a drain, accidentally or otherwise. Most drains will leak or clog in the trap. Generally speaking, drain openers can resolve most minor clogging. Severe clogs, however, require a plumber to take the drain apart for repair or replacement. Let Troudt Plumbing fix the problem. We are local plumbers, ready to handle all your plumbing needs and plumbing emergencies. We sell, install and service plumbing fixtures of all kinds. With decades of experience, we are experts at fixing your existing plumbing or installing new sinks and faucets in your home. 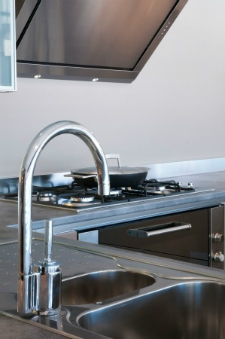 Contact us anytime for a free sink / faucet installation estimate or to schedule a plumbing repair.